The Pastoral Monuments series expands an underlying theme of the real and the re-presentation of it. 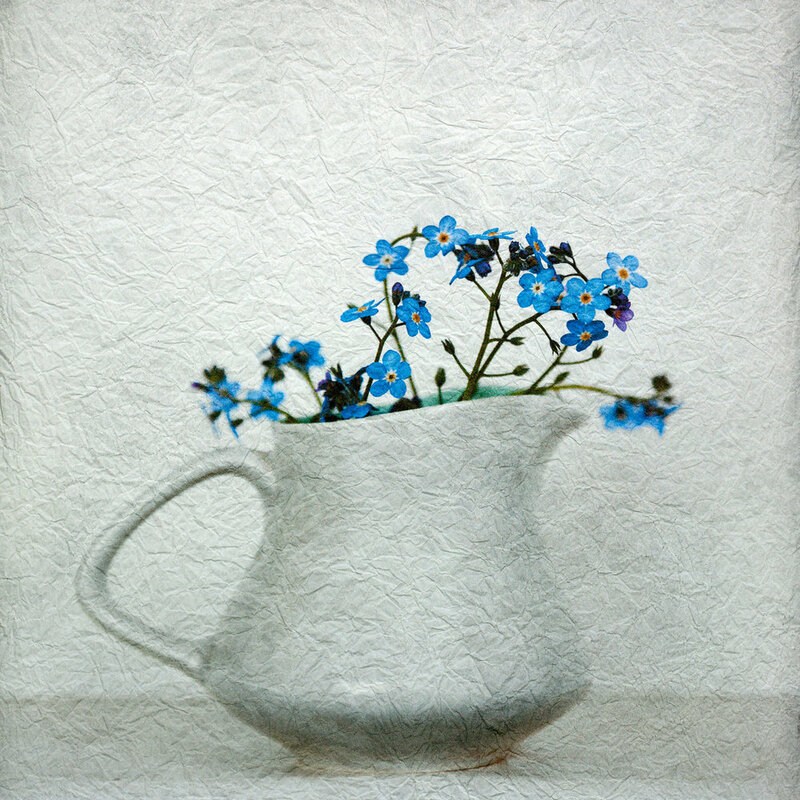 In this case, Helen Sear references the historical photographs of the botanist and photographer, Mary Dillwyn, whose photographs from the early 1850s depicted wild flowers arranged in domestic crockery. Sear has sourced more than 80 wild flowers from the same Welsh field and photographed them in jugs and vases from around the world. Though handling the resulting prints and rephotographing them—evidencing this handling—Sear believes that "the flowers and their containers become connected in a material sense, across the surface of the image." Further, we see in the photographs familiar ideas associated with flowers—youth, beauty and mortality. In some ways these photographs become monuments to flowers.